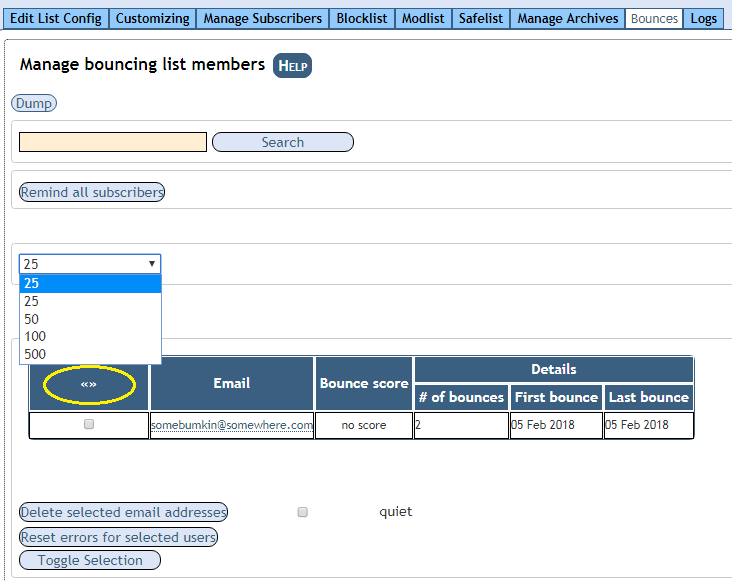 The most common cause of a bounce is an invalid email address subscribed to a list. In this case, the owner should “delete” the email address from the list. More details below. The list server misinterprets automated replies as a bounce. While most auto replies are interpreted correctly, we’ve seen this bug in the software and have reported it to the development team, www.sympa.org. To reset the bounce the bounce rate go to: Admin > Bounces. 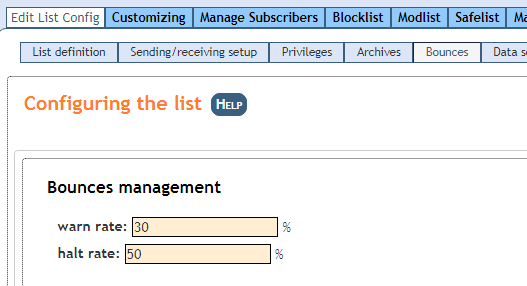 Review the email list, select the checkbox next to the email address you want to “reset” or “delete” from the list. If you have a large list, change the view to “500”. To select all email addresses click the <<>> symbol at the top of the check box column.